Manchester United will seek to return ways when they entertain Tottenham Hotspur at Old Trafford on Monday night. 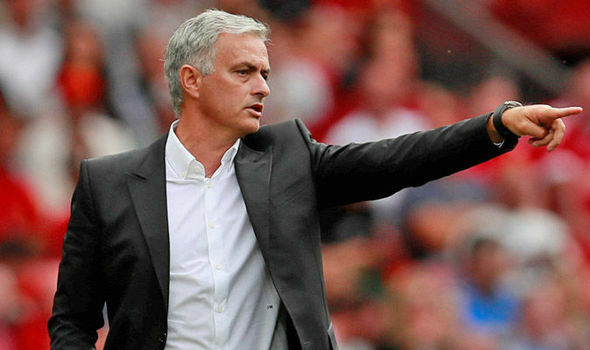 The Red Devils succumbed to a rather shocking 3-2 defeat to Brighton last weekend and Jose Mourinho should make noticeable changes to bounce back from the early-season setback. Spanish goalkeeper David de Gea has been solid between the sticks for United but he has not been able to keep a clean sheet owing to the average defending in front of him. He is certain to start in goal on Monday night. In defence, Mourinho could persist with Ashley Young and Luke Shaw on the right and left side of the backline respectively, though the Portuguese may consider a change in the central defensive department. Eric Bailly had a game to forget against Brighton last weekend where he also conceded the match-defining penalty and Mourinho may consider dropping him for Chris Smalling to partner Victor Lindelof. In midfield, summer signing Fred and Paul Pogba should certainly maintain their positions and we are fancying Nemanja Matic to make his maiden start of the season ahead of Andreas Pereira after recovering from an abdominal injury. Further forward, Alexis Sanchez has returned to first-team training and he should be an outright pick on the left side of the attack, considering United were lacklustre with their creativity against Brighton. Aside from the Chilean, there could be a start for Jesse Lingard on the other opposite flank whilst Romelu Lukaku is certain to lead the line after netting during the recent defeat on the South Coast. With this line up..i believe we re back in the game..GGmanutd!!! Anything short of victory will be regarded as playing below par. Our team should step up their games as to gain the maximum 3 points. We have what it takes to get over Totthenham.